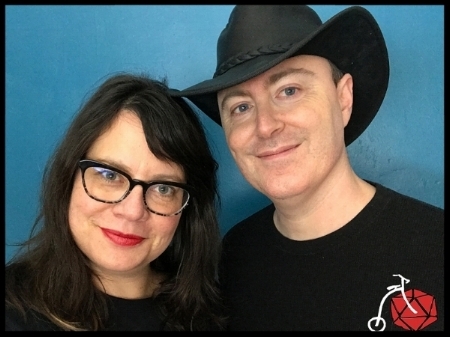 Special guests for WagonCon 2019! Twogether Studios is one part game designer Keith Baker one part producer Jenn Ellis, and a pinch of cats. They design and produce the games Action Cats!, Illimat, and Phoenix: Dawn Command from their secret lair in Portland, Oregon. Keith is the award winning designer of Eberron for Dungeons & Dragons as well as the card game Gloom and other titles. Jenn has been developing products and programs for 20 years from high tech stuff to summer camps. They recently delivered their Action Cats! Kickstarter exactly on time as promised and were shocked to discover there was no prize for this. 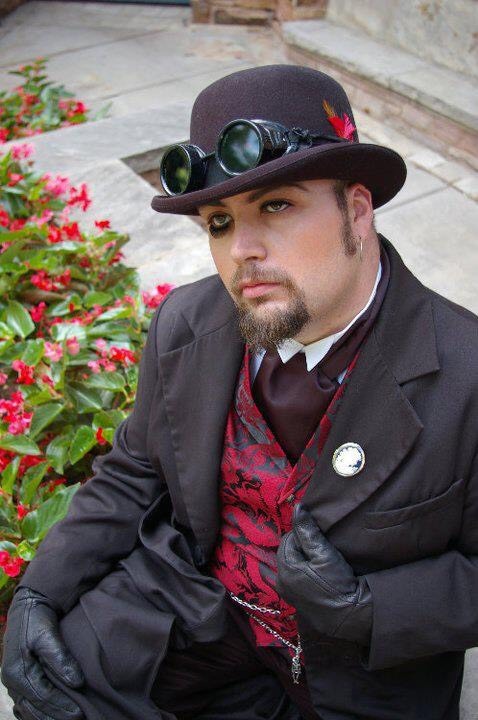 "Nathanael Cole (better known as the ol' NPC) is returning to his new favorite convention for the second time. NPC is a ridiculously motivated podcaster of geek-centric media, hosting on podcasts such as Have Movies Will Game, Bikers Dice & Bars, and the new HAMMERCRAWL! podcast - the latter two of which are produced by his own Breakfast Puppies production company. 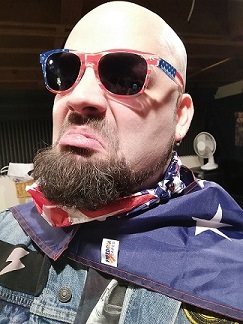 When not podcasting, he rides his motorcycles throughout the great Pacific Northwest, and somehow finds time to work on producing small-press role-playing games such as Cannibal Contagion, Motobushido, and the upcoming Gattaibushido:FUSION! He'll be at the convention morning to nightfall and beyond, and is excited to be back for more Wagoncon awesomeness." Paul Abeyta is excited to be back at Wagon Con. Paul is a game designer and actor mixed with Geeky tastes and a love of improv comedy and Karaoke. He has a double degree in European history and a love of all things British. He also has a love of Noir films and 1930's music. This year he is excited to bring both Turn of the Card with the new world setting "The Good, the Bad and the Orcish. The fantasy western setting. He is also excited to play-test a new dice based rpg based around a Magikal 1940's Noir world. Come check out Portland Noir. When not gaming and performing Paul, explores his new home the Pacific Northwest and watches the rain fall, drinks a good cuppa tea and naps like a house cat, or sings show tunes! If you see him at con, come on up and say hello, he loves to talk about history, movies and gaming! Turn of the Card: Is a dice-less, storytelling role-playing game. That uses Tarot cards for resolution. It is a universal system and can be played in any setting you choose. Cons around the Pacific Northwest have seen, Super Heroes, Victorian Steampunk meets Horror, The end of the world apocalypse, Weird Fantasy Western, Colonial horror and even a game based on the TV Show Supernatural, here at Wagon Con players will be introduced to a High Adventure, setting that takes Napoleonic Europe, Musketeers, Pirates, Flying Ships and mixes them into a fun fusion of a world that is brimming with adventure. Chris Weedin is the creator of five-star horror-comedy RPG Horror Rules, the Simply Horrible Roleplaying Game. But it's not entirely his fault. Others helped. He is the winner of a Gaming Genius award and has also created a couple of fun card games, such as Relentless, the Game of Non-Stop Zombie Carnage and Lots and Lots of Shooting and the secret agendas superhero party game Super City. Again, he had help. He spends his time creating new games, doing public appearances and speaking, practicing youth ministry and perpetuating the Horror Rules Mini-Con at pop-culture conventions such as the Central City Comic Con, which he helps out with a lot. Of course, as with everything else, other people are involved. You could be one of them. He likes exercise, coffee, superheroes, Jesus, playing board and card games, camping and entertaining his family. Again, people. One of the few things he has done by himself is write the horror-comedy series Graveyard Shift, the Adventures of Carson Dudley. But someone has to read it, so in effect that's not just his deal either.